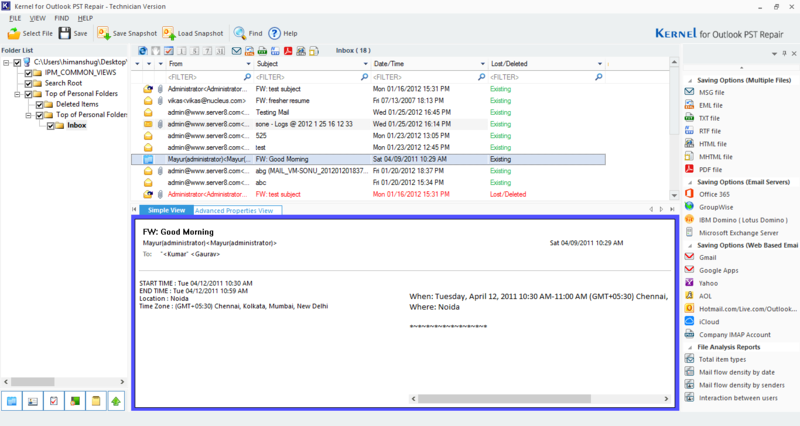 There are different versions of Outlook, such as Outlook 2016, 2013, 2010 or 2007. Every organization uses Outlook according to their preference and keeping a backup of this data file is very necessary because a hazardous situation like system crash can occur anytime which can result in loss of your Outlook data. But, you don’t have to worry about the Outlook data anymore, as there are several methods to backup Outlook data. In this article, we will take you through the process of how to backup Outlook 2010. 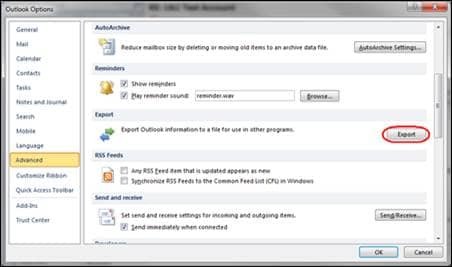 All the Outlook data in a computer is stored in a single file with the extension “.pst.” This file stores all the data like emails, journal, notes, and contacts. 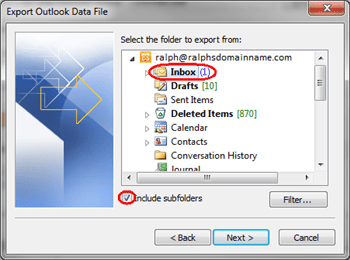 Open Outlook, go to the “File” tab and click “Option” button from the menu. Now, select the “Advanced” option from here and click “Export” in the export section. Note: You can select a single folder or all mailbox to export it to a PST file. Now, browse the location where you want to store this backed up data, and click “Finish” to complete the process. 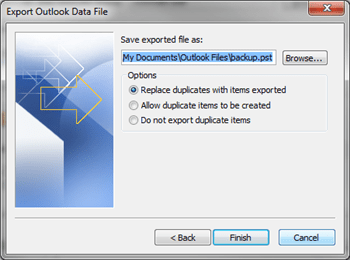 This way you can quickly create a backup for the Outlook 2010 with the help of import/export option. Kernel Outlook PST Repair is a helpful tool that is used to recover damaged/corrupt PST files, but it is also helpful in creating a backup of Outlook mailbox data to various platforms, such as Exchange Server, Office 365, Gmail, etc. One more advantage of this tool is that it is enriched with advanced filters, which allows users to backup selective data. Also, the user interface and working process of this tool are very simple and easy to understand. To create a backup through this tool – upload the desired PST file in it, and then select the desired platform where you want to export this file. Note: You can also save the PST file in different formats with the help of this tool. These three methods mentioned above are best suited for creating Outlook 2010 backup. Users can pick any solution according to their preferences. But, we would suggest you to choose Kernel Outlook PST repair tool, as it is an all-in-one solution for this issue.